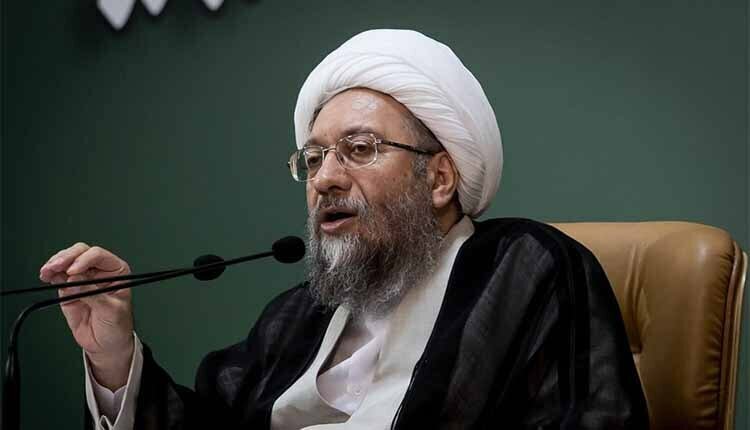 Iran’s Judiciary Chief Sadeq Amoli-Larijani on Monday warned workers protesting over unpaid wages against creating “sedition” and threatened them with persecution. “Those who want to use the pretext of following up workers’ demands and disrupt the order of the country, should be dealt with,” Sadeq Larijani said. “We still have a distance to go before the (workers’)problems are solved and the government should increase its measures,” he said worried about the ongoing protests. Acknowledging that many workers are struggling to make ends meet, he said the government must address workers’ problems “immediately”, according to Mizan. “Today workers are under many livelihood problems. They had a stable income but suddenly the price of food and goods increased. We have to pay attention to solving their problems,” he said. “Some workers’ wages go unpaid for some months; how are they supposed to live?” the cleric asked adding that this issue had two aspects. “One aspect is the administrative aspect… the other aspect is that the enemy takes advantage of some of the shortcomings… These kinds of issues are the tools of the enemy and some are looking to take advantage of these tools,” Iran Chief of Justice said. “The demands of dear workers must be met in a rational atmosphere… with the involvement of the government and the judiciary branch,” he said. But “demands will never be met by turmoil, crisis and actions contrary to public order”, he said. “The fact that some people bring up excuses and disrupt the order of the country is unacceptable,” Larijani added. His comments come following 22 days of strike by workers at the Haft Tapeh sugar factory in Shush, a city in Khuzestan province, protesting for more than two weeks for their unpaid wages and other grievances. This is not the first time that Iranian authorities resort to make threats against peaceful protesters amid growing public discontent over widespread unemployment and economic inequality. In October, a judiciary official warned truck drivers holding a nationwide strike over pay and high prices of “harsh penalties” if they continue their protests, state media said in September. Mohseni Ejei warned truck drivers who have continued their protests for higher wages and affordable parts despite several rounds of arrests. “Harsh penalties await those who … block lorry traffic on roads,” he said, according to the state-run IRNA news agency. General prosecutor Mohammad Jafar Montazeri said that protesting drivers may face death sentences under stern laws against highway robbery, the state broadcaster IRIB reported. A court in Qazvin requested the capital punishment for 17 striking truck drivers in the province. “The judiciary will without any tolerance deal with those who disrupt the security of drivers and also those who intend to take advantage(of the strike) and create insecurity”, the head of the Qazvin Court had said in reference to the truck drivers’ strike that was ongoing in all of Iran’s provinces. In June, Iran’s Supreme Leader demanded the judiciary punish those “who disrupt economic security” following strikes against rising prices and a collapsing rial. His comments followed those of Sadegh Larijani, who threatened “economic saboteurs” with execution just one day before. In January, Iranian authorities threatened the protesters with death. The state-run Tasnim news agency quoted Mousa Ghazanfarabadi as saying: “Obviously one of their charges can be Moharebeh,” or waging war against God, which is a death penalty offense in Iran.